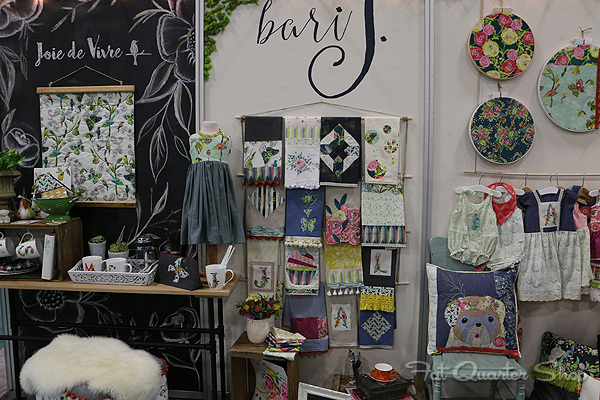 It was another fabric-tastic day here at Spring Quilt Market 2016 in Salt Lake City, Utah! 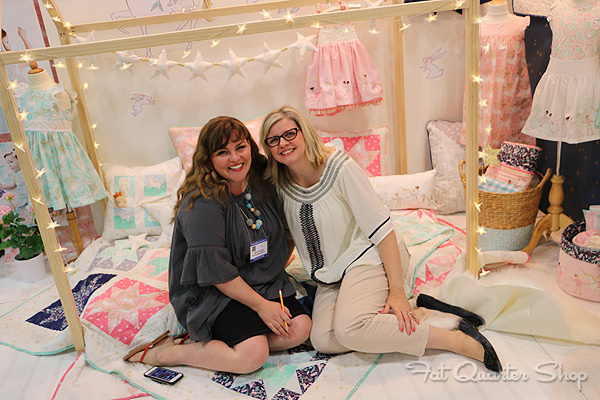 We hope you're ready for more sneak peeks at the latest and greatest in quilting, fabric, and sewing because we've been buzzing around the Convention Center capturing images to share with you - our quilting friends that are participating in Quilt Market via the Jolly Jabber! We took hundreds, if not thousands of pictures, and are sharing another batch of them here today. 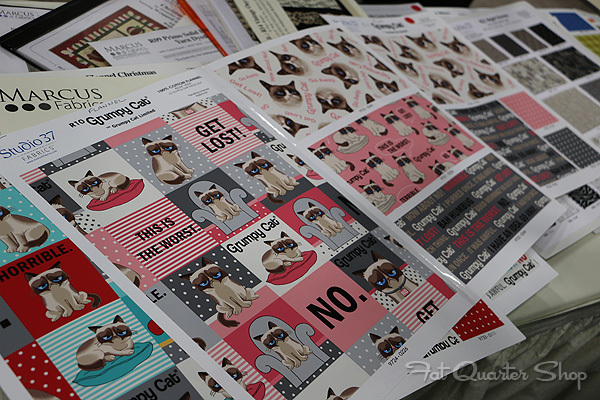 Oh, and don't forget our super awesome fabric bundles giveaway! We love the debut collection from Franny & Jane: Manderley! Their booth was so charming! Vanessa Goertzen from Lella Boutique: Olive's Flower Market! and can't wait to start sewing and quilting with it! their newest collection for Moda: Saturday Morning. 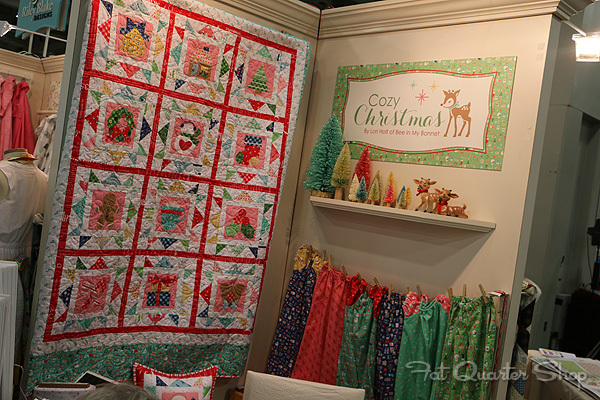 Meanwhile, over at Riley Blake, we found one of our favorite holiday collections in a darling display: Cozy Christmas by Lori Holt! It's available at Fat Quarter Shop now! 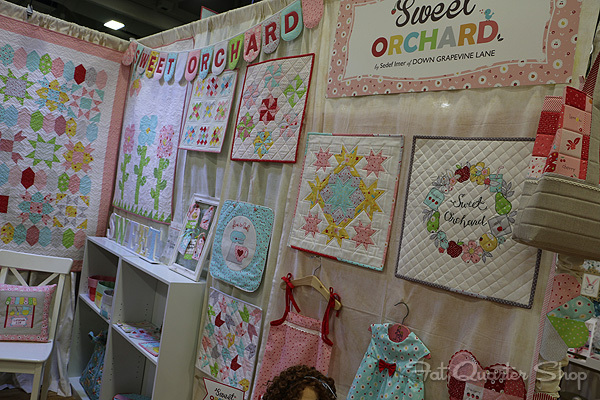 Another darling fabric collection from Riley Blake - Sweet Orchard! 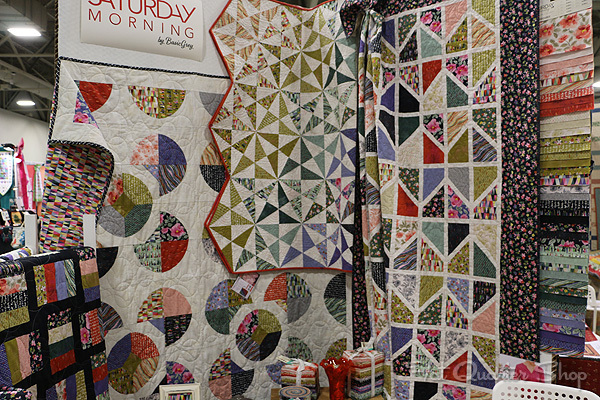 This is the debut collection by Down Grapevine Lane, and we love it! called Joie de Vivre, and it's both beautiful and whimsical! 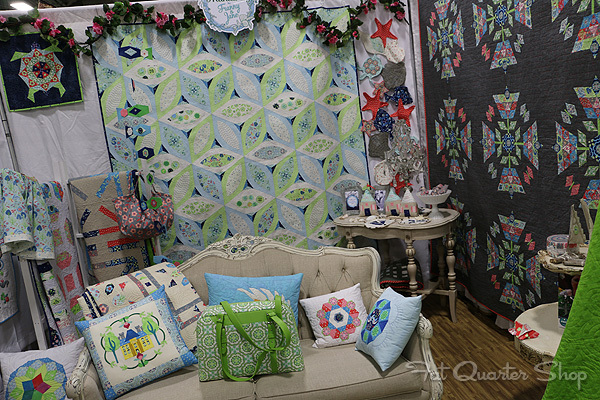 Something fun and new from Marcus Fabrics? Grumpy Cat! We have all kinds of fun projects planned for this hilarious fabric. 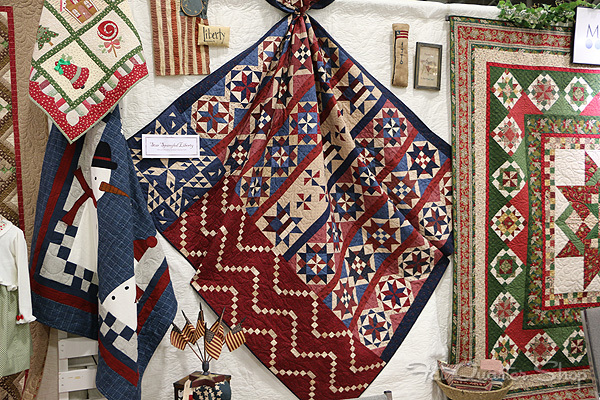 Star Spangled Liberty by Pam Buda! Reserve your spot today! 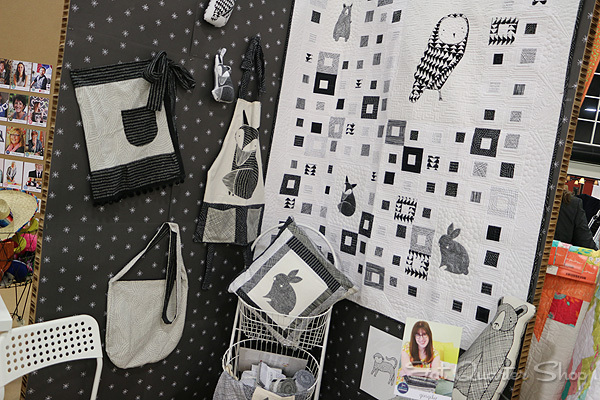 Sarah Jane has created pure magic with her newest collection for Michael Miller Fabrics. 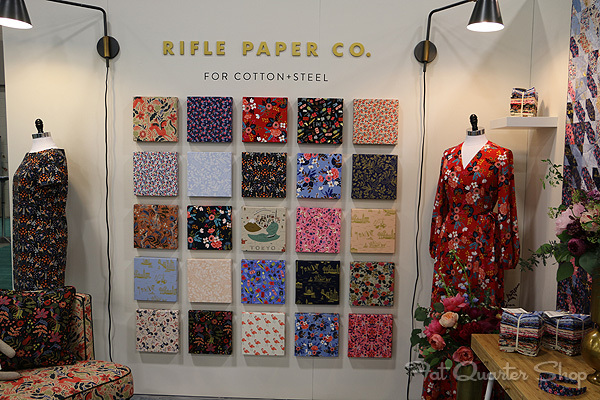 In fact, that's the name of the fabric collection: MAGIC! 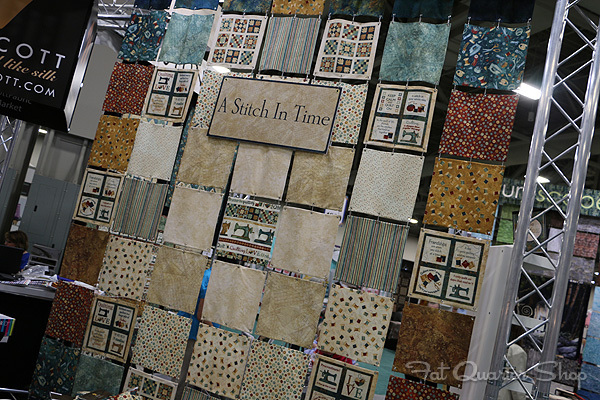 Northcott has a fab new line called A Stitch in Time. 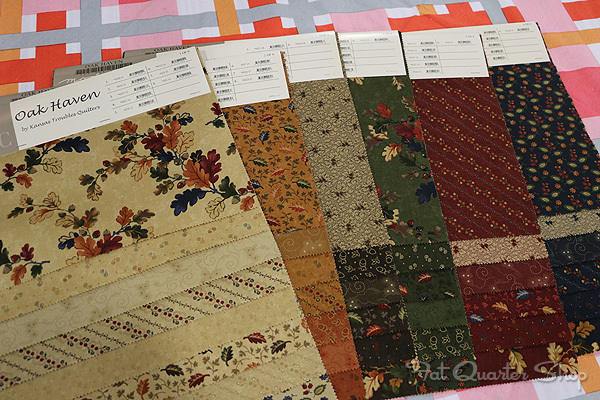 Who can resist sewing and quilting-themed fabrics? Les Fleurs! If loving this fabric is wrong, we don't want to be right! Are you following along via our other social media channels as well? Don't miss a thing! Here on our blog - daily! Hurray! 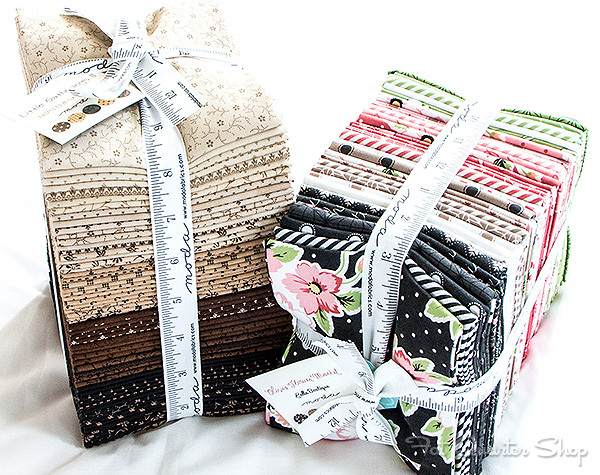 Two more brand new, just-released Fat Quarter Bundles from Moda Fabrics for today's giveaway prize! 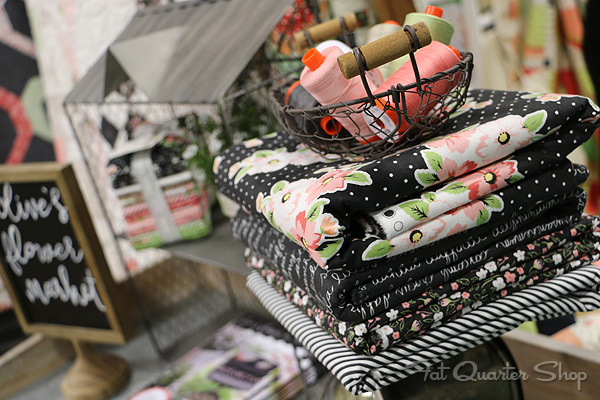 One lucky winner will win an Olive's Flower Market Fat Quarter Bundle by Lella Boutique for Moda Fabrics, and a second winner will win the Little Gatherings Fat Quarter Bundle by Primitive Gatherings for Moda Fabrics. These lovely and unique collections aren't available for purchase yet, but can still be yours - enter today! To enter, simply leave a comment on this post telling us which booth at Market was your favorite. The giveaway ends on Sunday 5/21/16 at 11:59 p.m. CST. Two winners will be chosen at random and will be announced here on this post by Tuesday 5/24/16. Good luck!